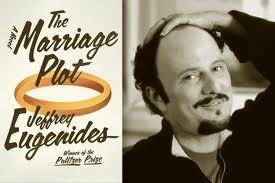 Our fourth book for the season is "Marriage Plot" by American author Jeffrey Eugenides (2011). Suggested by Cindi Emond. Where: TBD; exact address sent to confirmed participants. Pot Luck Dinner: Please RSVP letting Cindi Emond know what dish you will be preparing. Our fifth book for the season is "Caleb's Crossing" by Australian author Geraldine Brooks (2011). Suggested by Nicoletta Barbarito. Note: The meeting date for the discussion of this book will be Wednesday, March 7, 2012.